Ohio Screw Products (OSP) was founded as a screw machine job shop in 1945 by H. A. Hewitt. The shop was originally located in rented quarters of about 6,000 sq. ft. In 1952, the company moved to a new 16,000 sq. ft. facility at its current location at 818 Lowell St., Elyria, Ohio. By 1969, the company had expanded to 28,000 sq. ft. and employed about 11 people with sales revenue of $2.5 million. The company was acquired by the Samuel Moore Company in 1974. Little progress or development occurred until it was purchased by the current shareholders in 1977. By that time sales reached $4.5 million. The initial emphasis of the new management was to streamline operations as well as to expand and upgrade production equipment, and, of course, to increase sales. In 1981, the facility was expanded to 65,000 sq. ft. and sales reached a decade high of $5.5 million. Employment leveled off at 85 shop and office personnel. The company continued its emphasis on job shop operations through the 1990's and reached the $10 million sales mark in 2000. During this period, OSP's customer base remained very diverse with over 100 active customers and more than 1,000 different parts, all made to customer satisfaction. OSP's sales efforts are supported through a network of highly trained, knowledgeable manufacturers representatives dedicated to providing excellent service before, during and after the sale. 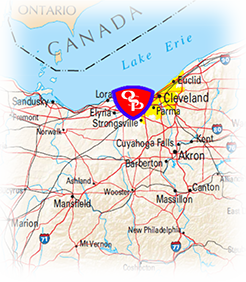 Over 90% of OSP's business is located in the Eastern half of the United States. In 2002, OSP took another major step forward and acquired an established product line from one of its key customers, Jiffy-Tite ®. 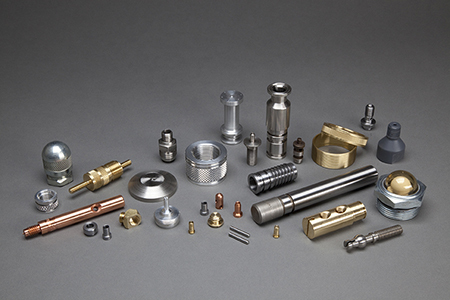 OSP now produces the components for the Jiffy-Tite ® brand as well as assembling the final product. The product line, along with production equipment and assembly fixtures were purchased from Jiffy-Tite ® and are now housed in an 8,400 sq. ft. addition to OSP's facility. In 2007, OSP became an ESOP company and by 2013 became 100% owned by our employees. This move strengthened our employee relationship as well as maximized our employee’s potential by enhancing and rewarding their commitment to the success of OSP. In 2009, OSP acquired TNG Industries and now manufacturers and distributes Zero Leak Products developed to solve leakage problems throughout a wide range of industries. Warren Nichols, former president of TNG and one of the patent holders of the Zero Leak Technology, has joined forces with OSP providing product support and representation. OSP is a solid company dedicated to providing the best in service and support through the lens of Christian faith and values. Our future looks bright; while the economy struggles, OSP continues to offer stability, quality and competitive products across a wide range of industries. We have several new product launches in the planning stages and look forward to the future with confidence.